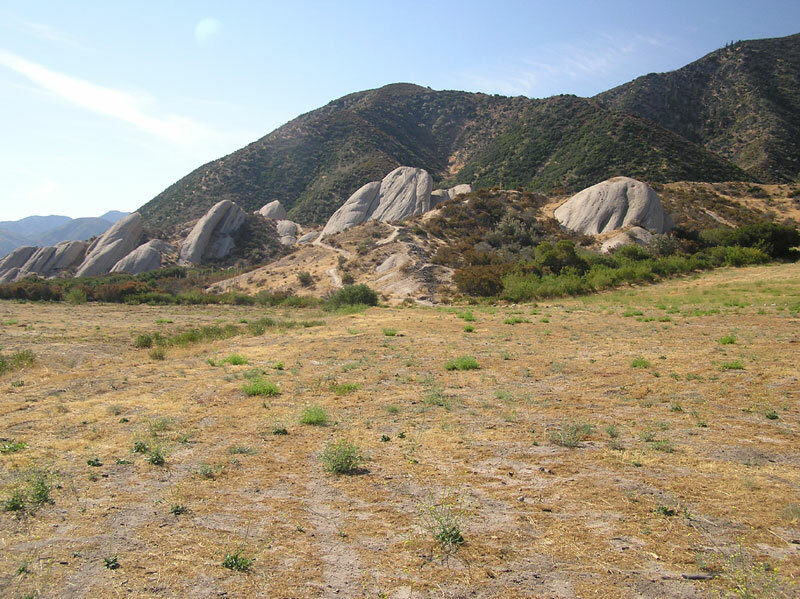 On Sunday August 22, 2010 we took a short drive north on I-15 to the Cajon Pass, which pass separates the San Gabriel from the San Bernardino Mountains. The Mormon Rocks are located just off the highway. 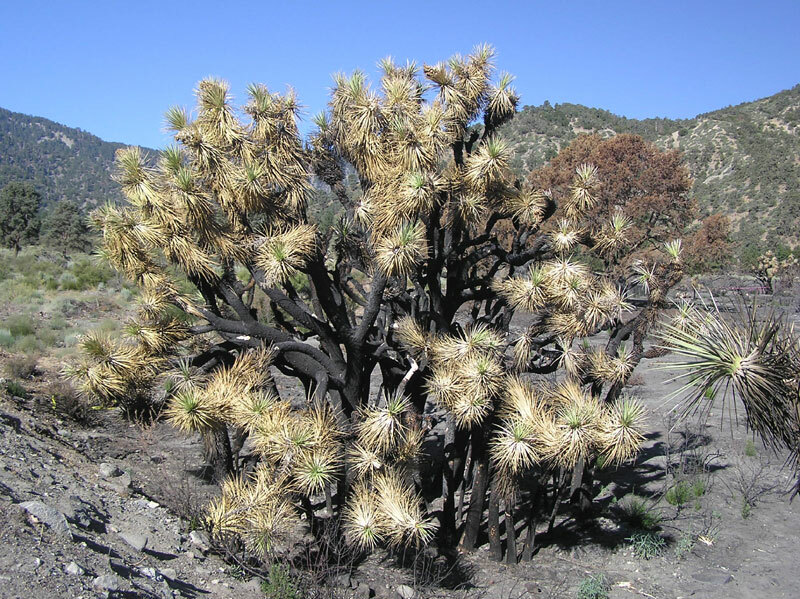 We were headed for the small mountain town of Wrightwood and saw this Joshua Tree that has come back to life after being burnt in a brush fire. 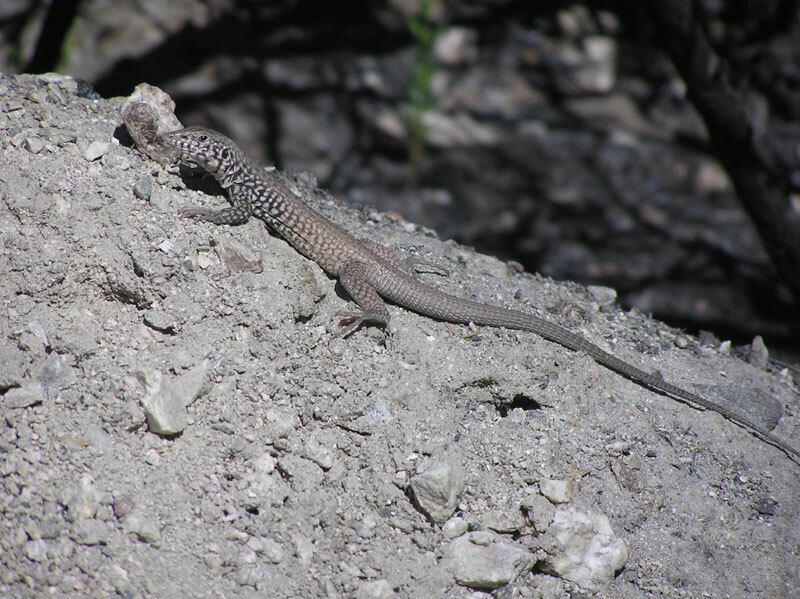 A lizard that was sunning himself didn't have any aversion to his picture being taken. 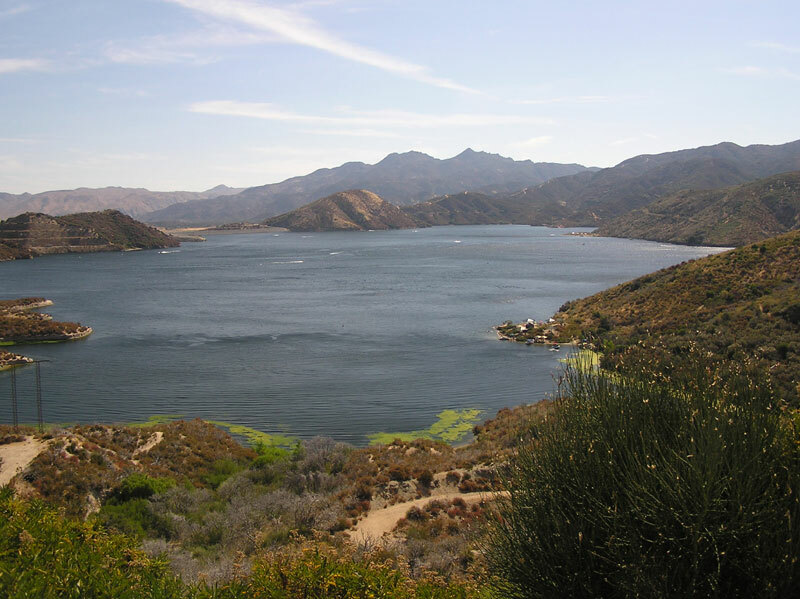 Crossing back over I-15, we drove past the Silverwood Lake Recreation Area, a man-made lake high up in the San Bernardino Mountains.